The words hit me with a palpable force. My pride wanted to take over and convince me that the statement was a lie. But deep down, I know it was the truth. How long had I been running from God? Months? Years? I couldn’t remember the last time I just rested in the comfort of his presence. Like so many young adults, my feelings toward the church had become jaded after high school. Leaders who I looked up to had let me down. 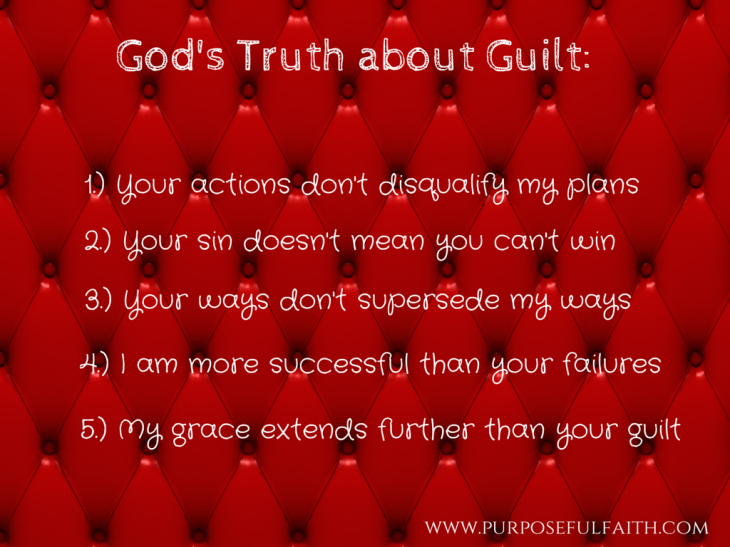 I’d been hurt by people I trusted, and projected their faults onto a perfect God. I turned my back on Him and the church and for many years, I ran. Now I had a new baby and a husband, and I knew I needed to somehow get it together. I was trying so hard to behave, to be the perfect wife and mother, but I knew I was failing miserably. We had recently moved to a new area and begun attending a church, and I attempted to play the role I thought I was supposed to play. I abandoned destructive habits. I watched my mouth. But my heart was still guarded and hurting. A bitter root had planted itself deep within me, and I didn’t know how to displace it. As I was sitting on the couch one chilly fall evening, I read those words in the opening chapter of a book about our life’s purpose. Something inside of me unlocked. I realized that all of my focus for so many years had been inward, but freedom comes when we fix our eyes upward. When I turned away from God my focus was on myself. 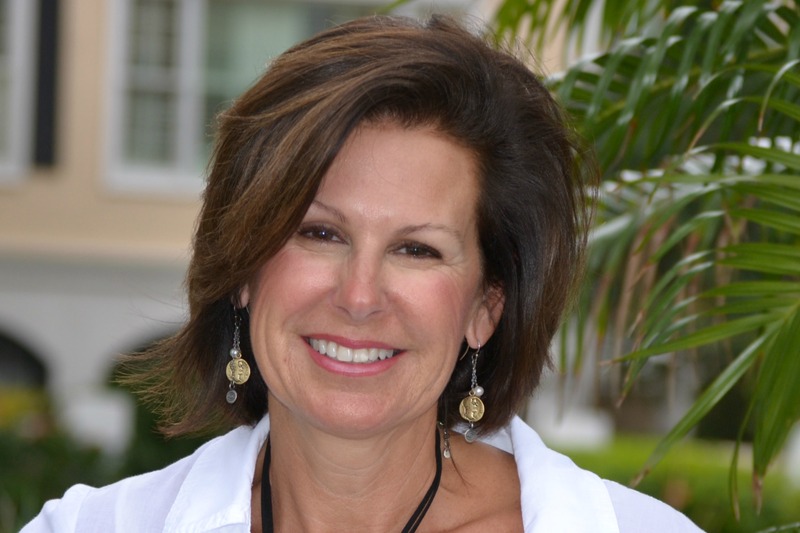 When I strove to behave and be the model church attendee, my focus was on myself. 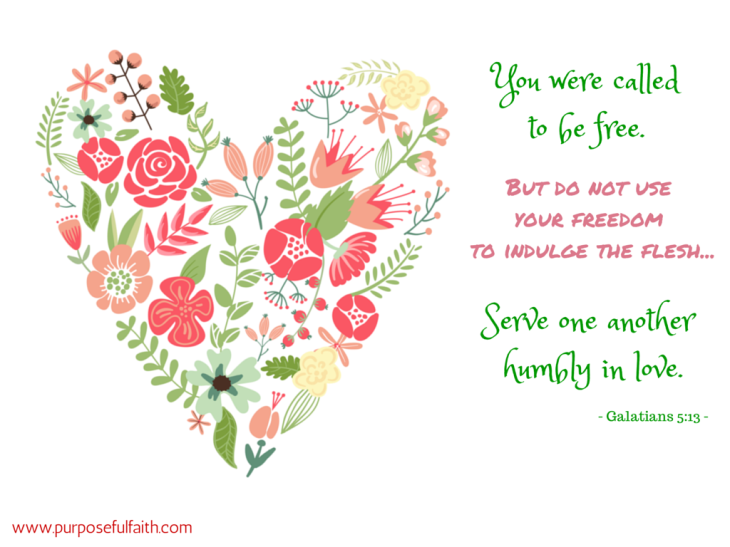 Suddenly, instead of fixating on me, I centered my thoughts on the One who gave me life. 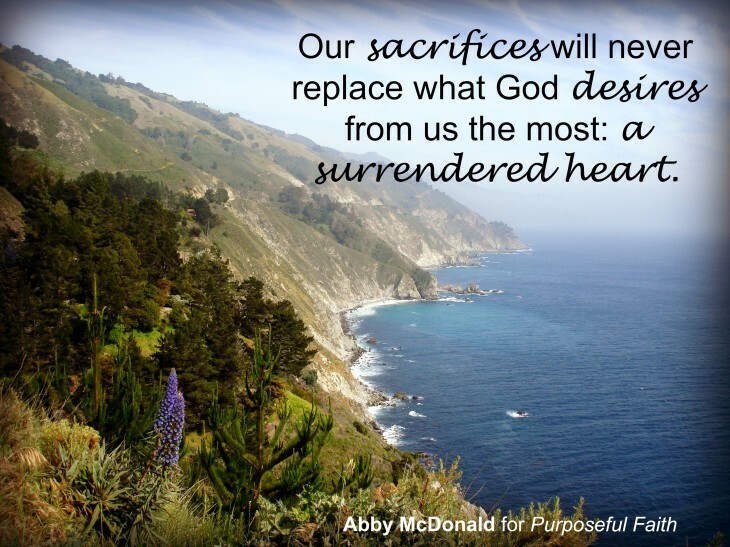 Our sacrifices will never replace what God desires from us the most: a surrendered heart. With a surrendered heart, I see that God is sovereign even in the midst of uncertainty, turmoil and heartbreak. I see that because we live in a fallen world, suffering is inevitable but also a means of growth. As I focus upward and outward instead of inward, that bitter root begins coming undone, and what was once resentment turns into gratitude. Is there an area of your life where you’re holding on to bitterness toward God? Can I encourage you to take the following steps? • Pray. Ask God to give you clarity. We serve a big God and our questions do not scare him away. You may receive answers and you may not, but presenting your requests to him will bring peace. • Be honest. God already knows your heart. Don’t be afraid to tell him. • Thank. Thank God for all the blessings in your life. One of the best ways to displace bitterness is with a thankful heart. • Read. Immerse yourself in God’s word. His Spirit will speak to you and bring you understanding. Friend, as you read this today, I am praying for you. I believe that God is going to do amazing things through you. There’s only one step left to take: Surrender. Find the Key to Freedom. 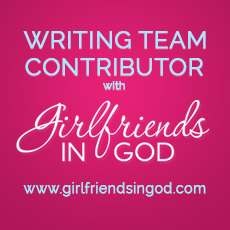 Get Purposeful Faith Blog updates via email – Subscribe Here! 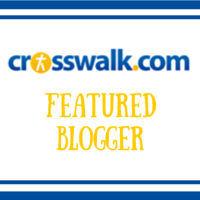 Announcing New Regular Contributors & Contest! Purposeful Faith is Growing in a Big Way! We have 4 new amazing women of the Lord who have some powerful things to say about God, life and renewal. I am just as eager as you are to learn with these ladies and to grow in my relationship with the Lord. Get ready for some powerful words, my friends. These women are not only talented writers, but beautiful on the inside and out. 1. 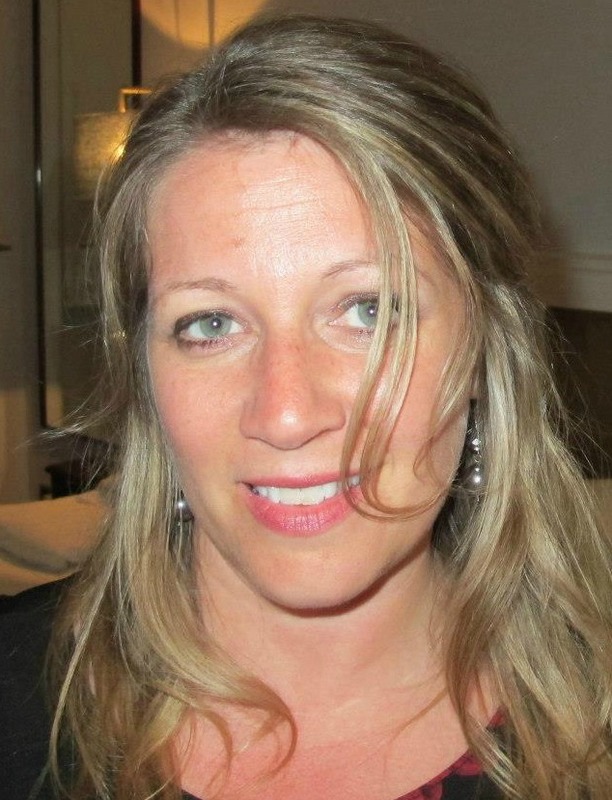 Abby McDonald – She will be featured tomorrow! 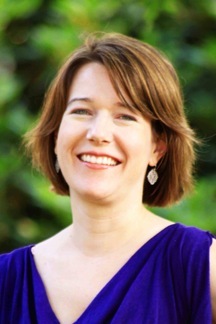 Abby McDonald is mom, a wife and a southern girl, currently living on the mountain side of Maryland, who fell in love with writing at a young age. For most of her life, she never shared her writing with anyone. 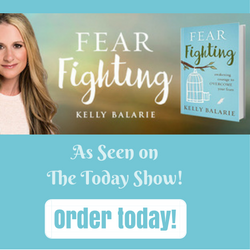 She started Fearfully Made Mom because she felt God gently pushing her to share her writing with others who may feel alone in their struggles with self-doubt, accepting God’s grace, and finding their identity in Christ. Her desire is to show women they are fearfully and wonderfully made by a God who will relentlessly pursue them, even during their darkest times. 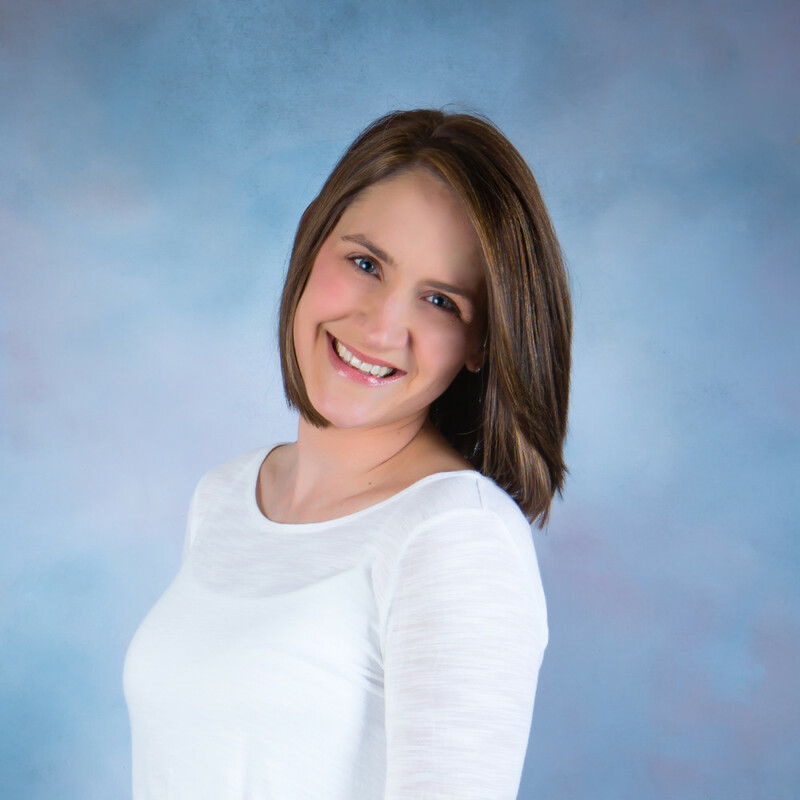 When she’s not chasing her two little boys around, Abby enjoys hiking, photography, reading, and consuming copious amounts of coffee with friends. you can find Katy sipping coffee on the porch at their ranch in Texas. Christy is a wife, mother, writer, mentor, and Life Purpose Coach. 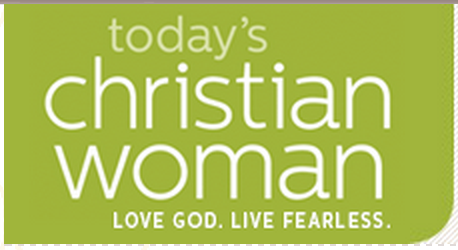 She is passionate about encouraging women to move forward, and press on through their struggles, seeking God’s presence in every bump and turn in the road. A girly girl at heart, Christy has a passion for fashion and decorating, which is to say she loves to shop and rearrange the furniture. She chases tennis balls for recreation and at the end of the day does her best thinking in the tub. 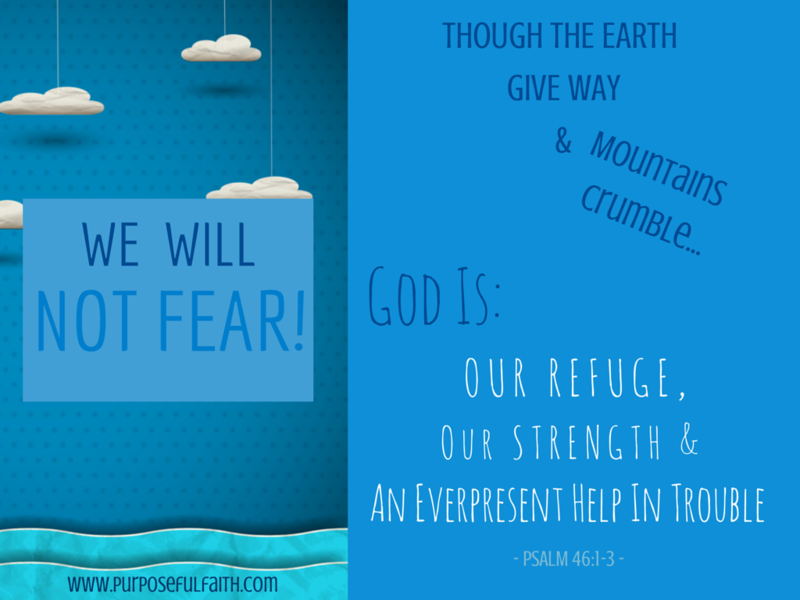 Purposeful Faith is also Proud to Announce a Contest! 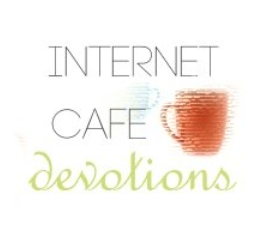 Subscribe to these blog posts via email and be entered to win an Amazon Gift Cards. Enter Here! 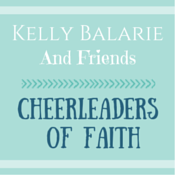 If you have friends or family that may enjoy Purposeful Faith, send them here too! Or, they can join us on Facebook or Twitter. In Part 1, When Life Gets Hard, we saw the life’s wreckage from a different vantage point. But, it is one thing to see something from a different perspective and quite another to live changed. So, how do we live out the truth that we are being remade, renewed and recharged? We go to the Word of God, the Word that is sharper than a 2-edged sword. Let’s take a look at 10 bible verses for hard times to understand what the Lord wants you to believe as you are being transformed. 1. We can look to the world to fill our needs – but only God completely fills. 2. We may tend to forget things, but God never forgets anything – especially you. 3. Need Help? God has sent the Spirit, the ultimate Helper. 4. The word “Provider” is defined in the Name of God. 5. God is the ultimate Comfort in a time of need. 6. The world can tremble, but God still remains sturdy. He is our strength. 7. God is our hope in what seems like a hopeless world. 8. God will give you a future and an eternal home; this has already been secured. 9. When you feel troubled, God will help you a time of trouble. 10. God offers wisdom, when you have none. 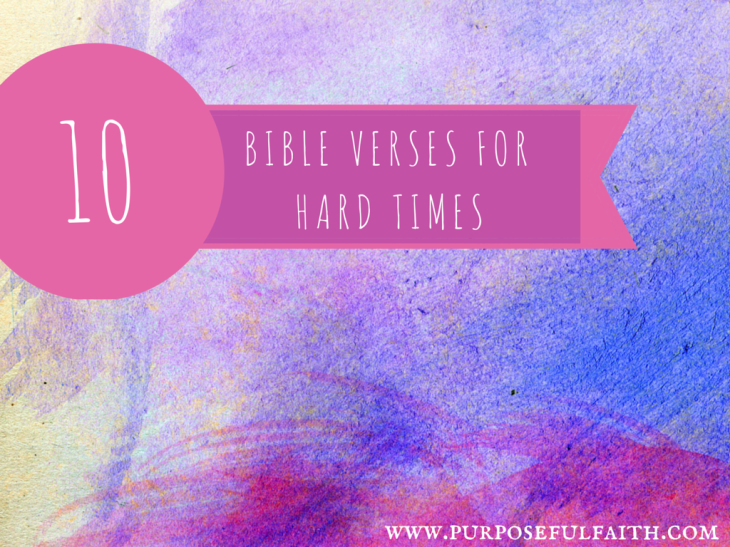 These 10 Bible Verses for Hard Times illustrate that God stands ready to help us. Even though life may seem like it is crashing before us – God has a plan in the midst of the chaos. When all else is stripped away – when life breaks down to it’s very core – we see the making of our vehicles. We see our maker. We see the foundation. We see God. We see what is important. We see what is valuable. We see Christ’s power on the cross. So, fear not. Fear not! Keep your eyes on Him. Fall into his arms. Rest in Him. Let him helicopter you out of your personal crash site so that you can view all the little pieces with fresh eyes. What you will see is beauty. What you will see is that all the little pieces – broken pieces – are just his way of putting you back together as a new creation. 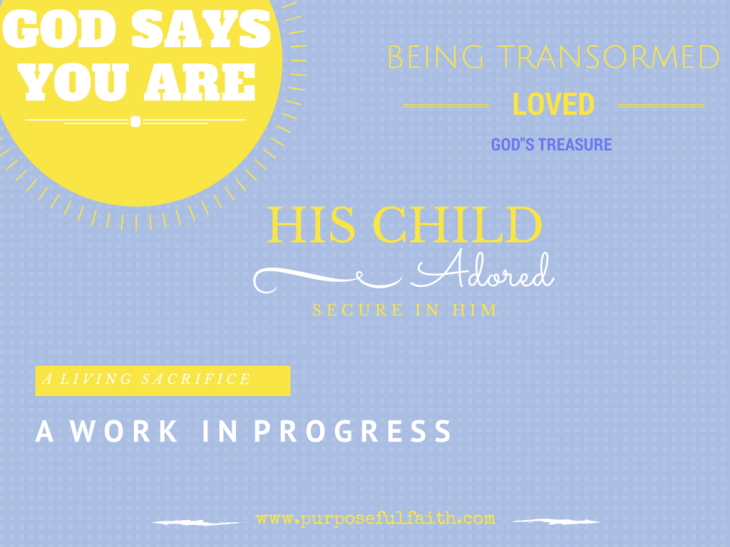 A new you that is being transformed into his image (2 Cor. 3:18). A new you that lifts others to new heights in their time of need. A new you that sees your life from a new perspective. Renewal is not always in our timing. God sanctifies us according to his timeline – his perfect timeline. From personal experience, I can assure you – God is the master mess cleaner. He leaves us sparkling with a new spirit, a new spring in our step a new passion in life. He gives us more than we ever had. I have seen this happen and I know it to be true. God will be faithful in creating a new “you”! Know, God will not abandon you in the midst of your collision. He will take care of you. I promise and more importantly – He promises! He not only promises, but he delivers! 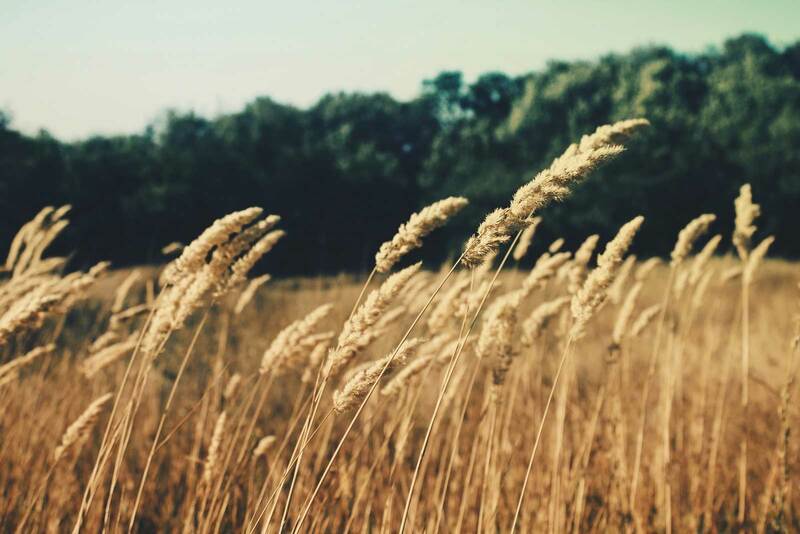 Cling onto these 10 Bible Verses for Hard Times. Sometimes life hits hard. It crashes into a million little pieces before our very eyes. Are you not sure what to do when life gets hard? When anxiety mounts? When you feel like you can’t cope?To make it through, there is just one thing to grab hold of. Not memorized words, not detailed theology, not empty promises, not fake words, not shallow prayers. No, we need to let go of knowing what we feel we should do – and grab hold of knowing God. Knowing in our heart, and not only our minds. Knowing in our actions, and not only our words. Knowing as we bare it all to him, and knowing he will come to our rescue. Knowing we can be – because he sees. Humbling ourselves to his will. Praising him as he shows up. Proclaiming his beauty as he provides. Seeking him with all we have. Because often life comes at us like a car speeding into a head-on collision. Life crashes before our very eyes and all we see are the million little pieces around us. Life hurts. We ache. We cry. We need. I don’t know what you need today, but we all need. We desperately need. We need to be filled – with money, with love, with acceptance, with words of encouragement, with a boss who cares, with good health, with peace, with healing. We travel far and wide – to various gas stations of need. We think we can fill up there. We look the to the wrong people, in the wrong way. But, this gas provides doesn’t provide us the energy we seek, in fact, it actually zaps us of energy. It robs us of strength. We get filled up, but with the wrong source of power. Then, our cars run on empty.We run – but we are almost dying – and we lose steam.The point is – life can hurt. Situations can stun. Circumstances can feel like they will break-us-down. If you believe that being a Christ follower is a bag of roses, chocolate and blessings – you have been sold a lie. We don’t always get the easy road in life. But, what we do get is a bag of promises that will always endure, will never fail, will lift us up, will comfort us, will help us to thrive – and will be our drive. Here is the truth my brothers and sisters – We may feel like life is crashing before us, but that’s ok. Sound ridiculous? Maybe. But it’s not – because we see by faith and not by sight. What we see are little pieces of ruin, but what God sees is broken fragments of what he wants to create anew. What we see are shards of glass, but what God sees are hopes and dreams that he has ready to bring to fruition as he puts the pieces back together. What we see is pain, but what he sees is our gain as we trust him by faith. Sometimes, we’re broken so that we can be remade. We can’t see it in the moment, but in the aftermath all the little pieces come together to form something so beautiful it takes us to places we never dreamed or imagined we could go. 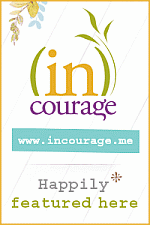 Stay tuned for Part II where you will receive the ultimate words of encouragement for when life gets hard. Oh, how I can’t wait to share them with you. 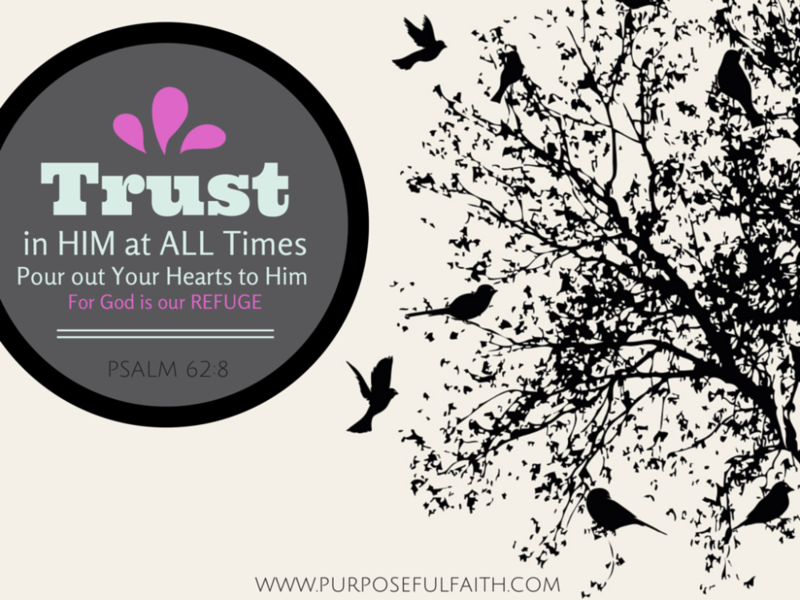 Get Purposeful Faith blog post updates via email – click here. I was in a mom’s bible study. We were there to grow in love of the Lord – to share his work in the midst of the craziness of motherhood, his encouragement when we felt despair and his grace in failures. As much as I was looking to be loved and accepted, I wanted to shine an encouraging word into each of their hearts. 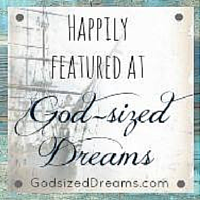 God had been transforming my soul in awe-inspiring ways, so I was eager to share. He had been teaching me about trusting him – about reaching outside of myself, stepping outside of my comfort zone and about letting go of things I clenched so tightly. He was teaching me to let him work out what was his to work out. God was teaching me in a powerful way. I left the group defeated and discouraged. I went in with a flame ready to ignite the group’s passion for the Lord, but I left with burnt ashes in my wake. I was confused. Shining my “light” illuminated my vulnerabilities – and highlighted my insecurities. God, I heard your call. Why did this happen? After much soul-searching, I realized I hid my candle – out of fear of judgment. The light still remained in my soul, but I took my eyes off of God. I placed the value of my light on the women in my sight. Instead of the God who works with all might. Instead of the God who is completely right. Instead of the God who shines bright. God’s glory, his radiance, and his brilliance are not dependent on the responses of others. He is light. It is impossible for darkness to extinguish light. It will always shine. It will always be. It does not depend on reactions, perceptions or judgments. It just is. Even if you have your flame hidden, it is still there. It stands ready to shine.Because the light he put in us is truth. 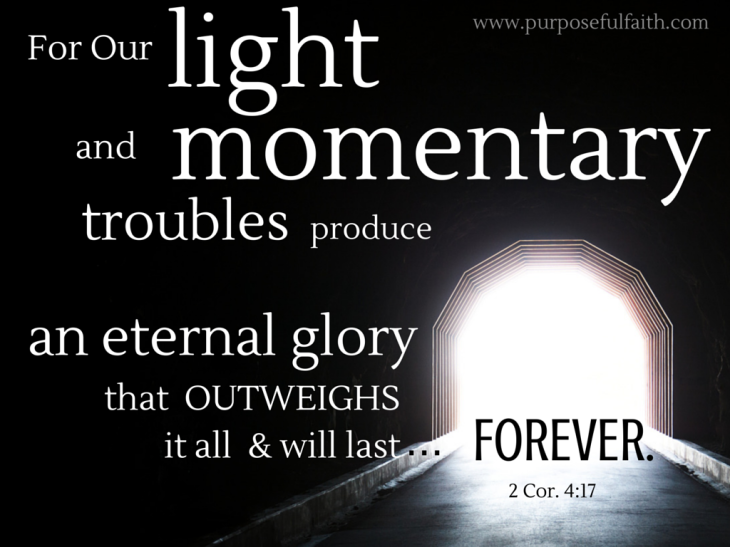 It is the power he works within us to shine the glory of Jesus Christ in present day life. To hide his light, to squelch its power – is to hide the saving and redeeming work of Jesus Christ. When we do this, we hide the work he has set forth for us to do. But, when we live based on the light that is within us, we are truly living. We are in his will. We are living with purpose and with power. We can see the way we should go. It is amazing. It is powerful. Not fear the response of man. Speak as the Lord directs. Listen to others opinions and reflect on truth. We run from those who are not willing to listen or hear. Realize that the value of our message is not dependent on the value of others responses. Give glory to the Lord all the time – in all ways. Weigh our words carefully before speaking. Speak truth no matter what, balanced in love. Be who God created us to be, no matter how others feel. 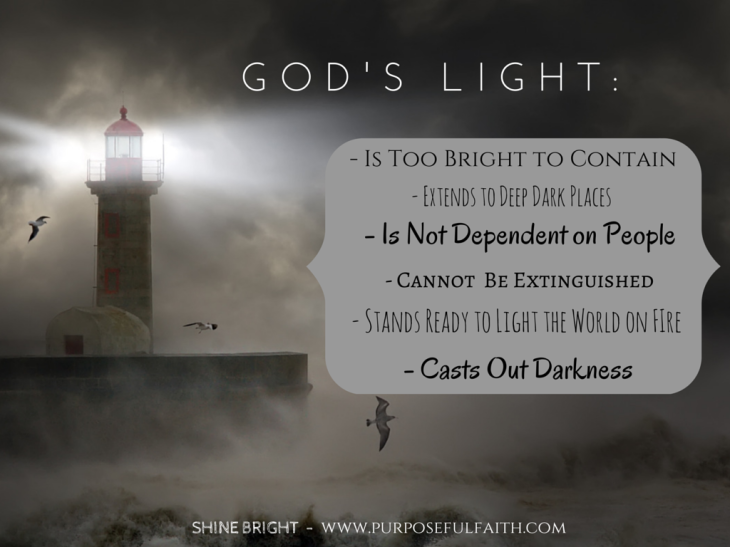 When we shine light – when we let our light shine bright – God sends it into dark places. We may not even know the distance that our light will shine. He will send it far and he will send it wide. Our job is to keep our eyes on him and trust him as we let him lead. People will judge us, but his truth will lead us. He will not let our foot slip (Proverbs 121:3). Never be afraid to shine too brightly for the one you love; for the light within you is set to light the world on fire with a love of Christ. Let your light shine bright. In the blog post, Caution: How Not to be of the World, we talked about how taking our focus off of Christ can divert us down a road we never intended to drive. But, by keeping our eyes on the Lord, nothing can take us down. Nothing can shake us. Nothing can keep God away. He sees us and is right next to us. We can learn how to believe God and not the World. And when we do, God will stand next to us and walk us right up to the purpose of our life. Finally, we can stand before purpose and to grab hold of it. We won’t be shaken, because we are who God says we are. And, we will be who God wants us to be – as we trust him. God defines us. God made us. And, God makes us. He answers and he fulfills his promises. God is greater than the words and messages of the world that are here today and gone tomorrow. Talking heads waste their words, because rely on the living active Word. “Keeping up with the Jones” loses its power, because God’s our ultimate Superpower. Never having enough is a thing of the past, because God is more than enough. We don’t need to believe half-truths, when we have “the Truth”. When we drive down the freeways of the world, we end up in dark depressing neighborhoods filled with pain, shame and regret. God wants to lead us in truth and light. He wants us to rush into his arms, to collide with his truth and to cruise in life safely. He has plans that are so much greater than the world’s plans for us. He has big plans. But if we are so distracted with the signs of the world, we will miss the highway to him. We will miss the joy that is him. We will miss the peace that is him. We will miss the life that is him. We will crash. He wants all of you. He loves all of you. He has big plans for all of you. Give all of yourself to Him. We have a choice to make. Do we believe the World or do we believe the Lord? We have to live in this world, but we are smart to discover how not to be of the world. Because the fact of the matter is that you can’t serve both. You will either serve God or you will serve the world. The world tries to tell us that we need to be rich, powerful, successful, beautiful, funny, outgoing and (fill in the blank). But, as Christians, the World is not our maker – and it is certainly not our master. Yet, sometimes we act like it is. It tells us what we need to believe, how we should act and what we should say. And we follow in step. Its words can become louder than the Word of God – especially if we aren’t taking time to hear the Word of God. The world’s magnetic pull draws us close and we tend to get consumed us with its standards rather than getting consumed with the one who holds all life, all love and all power. The truth is, we can’t focus on two destinations. It’s impossible. You can’t drive to two places at once. And that is exactly what we are attempting to do. We say we are driving towards Christ, yet that enticing off ramp pulls us off our course. We continually get distracted when we take our eyes off the road leading to Christ. We follow signs that direct us to pleasure and enjoyment – and we get sidetracked. We see the stop sign that offers a perfect moment to look at our needs in the mirror – and our voyage is halted. We see a billboard that advertises a perfect face of beauty, riches and power – and we get thinking. Then, we get lost. Let’s not set ourselves on a crash course. In order to do this, we must think about what we are thinking about – and we must think about what we shouldn’t be thinking about. 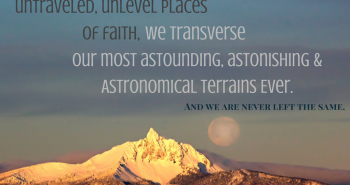 Likewise, we have to look at what we are believing – and not believing. Because, we either have our eyes set on Christ or we are swerving down the roads of the world, ready to head straight into a ditch. God calls us to focus. To keep our eyes on Christ. To avoid looking at what everyone else is doing, being, and saying – and to instead see Him. When our eyes are on Christ, they are not on the world. And, when our eyes are on the world, they are not on Christ. Lets fix our eyes on the One who provides all direction, all hope and all purpose by keeping focused eyes. Focused eyes understand He is the One who provides all good things. Focused eyes, let the world become blurry. 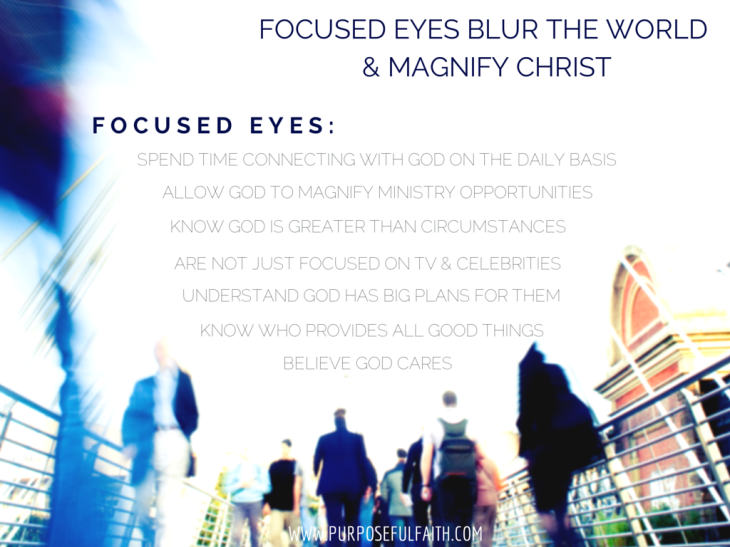 Focused eyes allow God to magnify the right ministry opportunities. Focused eyes spend time connecting with God on the daily basis. Focused eyes see those that need love. Focused eyes are focused on the needs of others before themselves. Focused eyes are not just focused on TV. Focused eyes understand that God has big plans for them. Focused eyes know that God is greater than any circumstance. Focused eyes know that God has not forgotten them. Focused eyes know that God is alive, well and aware of all things. Focused eyes know God will rescue and restore. Focused eyes do not veer off the road. They steer clear of potholes. They avoid dark areas. The result is a life that is full of Christ, abundant in love, strong in purpose, weak in pride, engaging in relationships, authentic in grace and powerful in faith. We all want this. When our eyes are focused, we won’t miss out on what God has for us. The opposite happens – we see ourselves and our lives with amazing clarity. We receive the goodness, the peace and the love that God has in store for us as believers because we are not sidetracked. We need not fear because the Lord will keep us safe. Stay tuned for Part II where we will discover who we are in light of our God. Why Can’t I Be Better? It’s a feeling of shame, mixed with regret, all combined with a ton of guilt. I hate these feelings sometimes. Even worse, I hate how I feel when I am not sure what I should do. I hate not knowing if I will ever “be better”, “do better” and “love better”. I hate feeling like I will never get it quite right. I hate feeling afraid to take the risk to go “there”. Sin weighs me down. It crushes a spirit. It burdens a heart. It stifles a purpose. It knocks on the doors of our lives attempting to lure us. It stands ready to rob us. And after it does, it leaves us injured, broken and lying on the floor unsure what to do next. But it is in this place of vulnerable pain where our hurts drive us to admission. It is in this place where we have to take a risk. Where we have to step out of our comfort zone. And, it is in this exact place where God is best seen. This is where we see him from an authentic, open and receptive heart. And, when we come to God, he heals and binds up our pain better than we could have ever imagined. When we confess, and move towards God through changed actions, he comes to us – and we come to him. I live inside of you. I can’t give up on myself. You are more than a conqueror because of Christ Jesus. If so, let it go. As far as the east is from the west. Let. It. Go. I am perfecting the beauty that is “me” within you. There is one tip – one tip – that is the best tip to get through an argument and you are about to learn it. We have all been in an argument. Those ugly, annoying, life-taxing disagreements that leave us feeling horrible. They hurt. They frustrate. We feel slighted, annoyed and aggravated. We just can’t seem to get over how and why a person would treat us the way that they did. Why would they intentionally hurt us? Why would they be so mean? Why would they go and say THOSE things? That is how I felt. I felt that the words spoken to me were beyond what someone should say. I felt like they were thrown out to make me feel guilty. They were words sent on a mission to wound. They were words intended to cut deep and to leave scars. Often, in these situations, we can feel like exploding – or simply shutting down all together. Either way, we go into protection mode. Personally, I felt like unloading.I felt like letting all my crazy words shoot out of my mouth in continuous succession, not caring where they hit. I felt like tearing the person down because I felt so torn down myself. I was ready to shoot to win. But, as I got ready to open my mouth to start firing a barrage of insults, I felt the Holy Spirit tug on my hard heart. The tug gently reminded me that Christ did not fight back. That Christ restrained his words when we was on trial, when he was on the cross and when breathed his last breath. He did this despite all that we did – and continue to do – to him. I silenced myself. God, what do you want me to do?Sometimes, silence in the midst of pain provides the perfect environment to hear clear answers from God.When everything in my body was saying, give them what they deserve, God said, give them what they don’t. But, it’s hard. It’s so hard, especially when we feel hurt. To love the one who caused us pain goes against everything in our sinful nature. How do we love someone when we are still bleeding from our wounds? We go to the Father first. We let him bind up our bleeding aching wounds. We express our inflictions to him and we trust Him to guide us. We leave our weapons on the floor. We faithfully obey God’s Word. We speak truth from the place of love. We give all we have to hold God’s hand through our pain, when it feels like our pain will never wane. The other person is not the one with the power to repair us, God is the master healer. The other person does not have the power to fix our problems, but God is master fixer. The other person does not have the power to rule over our feelings, God rules on high. God is our protector, provider and lover of our soul. He will repair the damaged hearts we have. Let’s pour out our pain, our hurts and our trials to God. He can take it. He has carried the world on his shoulders, he can certainly handle our issues. He will repair our scars, bind up our wounds and give us a fresh step in him. Christ didn’t love wounded, he loved from the power of God. He didn’t love embarrassed, he loved from the strength of God’s power. He didn’t live ashamed, he lived knowing his eternal purpose. We are not defined by our arguments, labels and guilt, but we are defined by the power of God at work in us. When we are ruled by this power, we can act differently. We can act according to the power of God. We can win the war of arguments. We win when we stay near to Christ. We win when his love pours through us despite our feelings. We win when we keep ourselves upright. God is the best tip to get us through an argument. Despite what another person does, God will be faithful to bind up wounds and to take care of us. 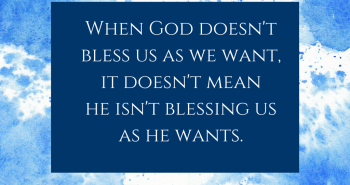 God doesn’t answer based on what we want, he answers based on what we need. We may think we need peace and he says no, you need trials. We may think we need joy – he says perseverance. We may think blessings – he says endurance. We may think money – he says contentment. We may think appreciation – he says love. I love a good race. I love competing and I love pushing through my personal barriers physically and mentally. I get the idea of running a race for the Lord. Why? I feel ready to give it all. I feel ready to explode off the starting line and to push no matter what my body feels. I want to arrive at the gate of heaven and fall in front of my King with a fast beating heart, with sweat on my brow. I want to fall before him out of breath, knowing I gave it all. I don’t want to have an ounce of push left. I want this so badly. But still, I get caught looking at the sidelines. I look at the crowds of people telling me to follow them, I look at my own inadequacies and I pump my arms with pride. God knows this. He sees this. And, as any fine coach would do – to make me the best runner for his kingdom – he trains me. He pushes me. He sends me through hard training days; days with some pain – some trials. These trials serve to mold me into a champion runner for his kingdom. They strip me of my own ways and the world’s ways – to make me more like him, the ultimate champion. Even so, sometimes I wonder, despite all this, why I still slow down? God bugged me with this verse to see that: I can’t run loaded with weight. I have a part in this race. Sin weight slows me down. It trips me up. It keeps me from Him. And, when sin is strapped on, its burden is heavy. It’s consuming. It stops us in our tracks. It distracts us and trips us up. We can try to pretend it is not there, but that doesn’t mean it isn’t. God is faithful to keep bugging us to address it. When we do, we grow. If we don’t, we fall. I didn’t want trials. I didn’t want pain. I didn’t want rejection. I didn’t want humiliation. I confess Lord, I have sinned. I want all of you. I can’t mentally pursue the race you have set before me when my mind is weighed down by my own desires and my own sin. It is easy to want joy, peace, contentment and blessings. It is easy to want encouragement and motivation, but God is operating from the throne of all knowledge, all power and all sovereignty. In his seat, he sees yesterday, today and tomorrow. 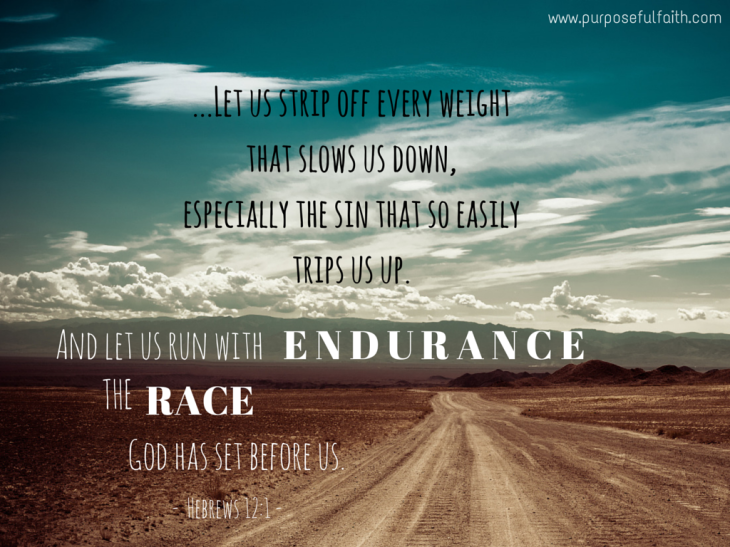 He knows precisely what we need to finish our race. He knows precisely what will hold us back from finishing. He wants us to be champions. He wants us to run with speed and power and strength. He wants us to finish strong and joyful. We are more than just conquerors in Christ Jesus. What baggage holds you back? What do you need to confess? What trials might God be using to train you? When we confess, God has a greater gift in store. The gift of speed and endurance that helps us run our race unencumbered.